The flawless trip begins from us and ends with us! We do for you the best you need! Over 34 acres of an asphalted area with over 600 parking places! T.I.R. Parking is non-stop secured by armed guards, in cooperation with “ALFA” SOT, with 24-hours digital surveillance. An automated, electronic, checkpoint parking system ensures proper reporting of your stay. The installed lighting system provides convenient services at any time of the day. A reliable fire protection system is provided. The place is water-supplied and has sewerage. 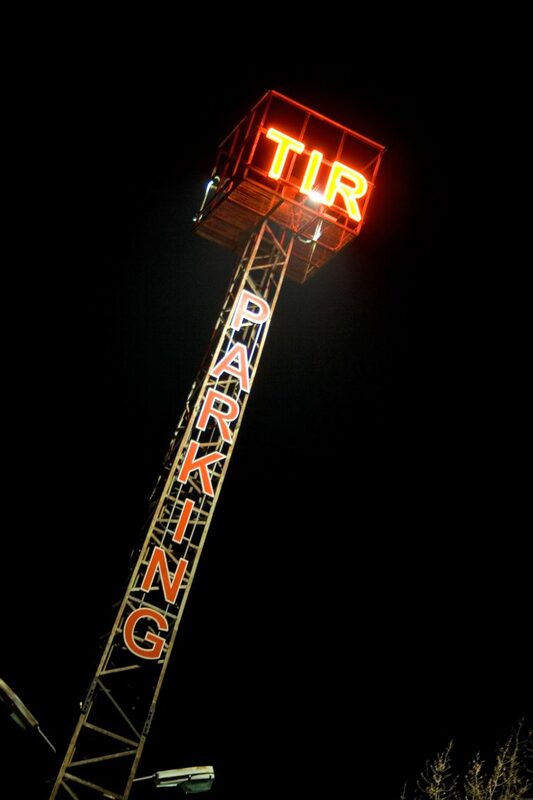 The TIR parking is located in a key position on one of the main exits of Asenovgrad – the road Popovitsa-Svilengrad and provides a comfortable place for parking of vehicles, traveling in the direction to and from Turkey, Greece, inside Bulgaria. We offer great price discounts to regular customers. There is an access of public transport to the place. You can also use taxi services with the help of the guards.